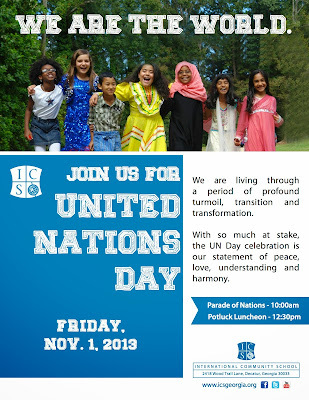 The International Community School sends warm greetings and an invitation to celebrate with ICS for our annual UN Day. On this day, our students and staff dress in their native garb and showcase the beauty that is ICS- diversity. There will be a parade of Nations at 10:00 a.m down Medlock Rd. 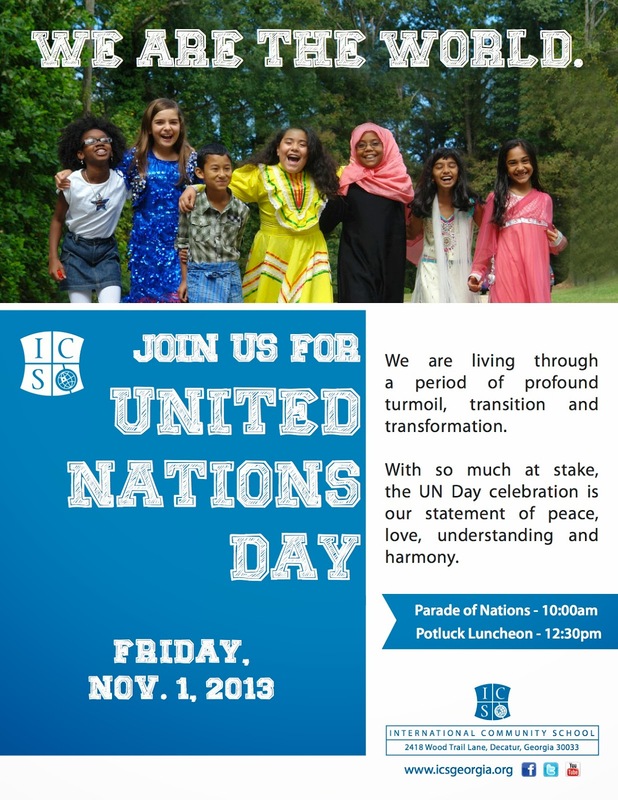 Followed by our UN Day presentations in the ICS cafetorium. The day will end with our Potluck Celebration of food and fellowship. We truly appreciate you welcoming us to the community and hope that you will join us for this memorable event.